Blue Rose / IQ amps are tested in accordance with the FTC. 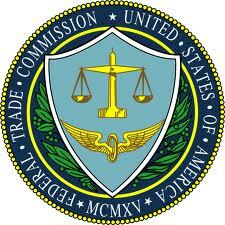 The FTC establishes fair advertisement practices for home audio power ratings. This is described in the FTC document 63FR37233, 16 CFR, Chapter 1, Part 432. It defines how the amplifier should be tested for power and signal distortion. The FTC requires that the amplifier be pre-conditioned at one-eighth of rated total power output (for a multiple-output system, all channels are on) for one hour using a sine wave at a frequency of 1,000 Hz. The power spectrum measurement is then collected with two channels at maximum rated power over the audio frequency range of 20 Hz to 20,000 Hz, in ambient still air of not less than 25°C, for the a duration of not less than 5 minutes. A few companies have stated that the FTC test should not be applied to class D amplifiers, well, this is very creative.... but just plain wrong. The class of amp operation has nothing to do with the FTC test. It has everything to do with the overall amplifier design and output capability, most significantly the size, power reserves, and thermal capability of the power supply.
" The FTC continuous rating, however, was not arbitrarily chosen. It was imposed on a hi-fi industry that had proved totally irresponsible in how it rated its products. Such mystical numbers as "Peak Power" and "Music Power" were used willy-nilly to produce sales-oriented ratings that had nothing to do with reality. "